Our church building features in a 2016 publication entitled Church Buildings in Wigtownshire, by John R. Hume. 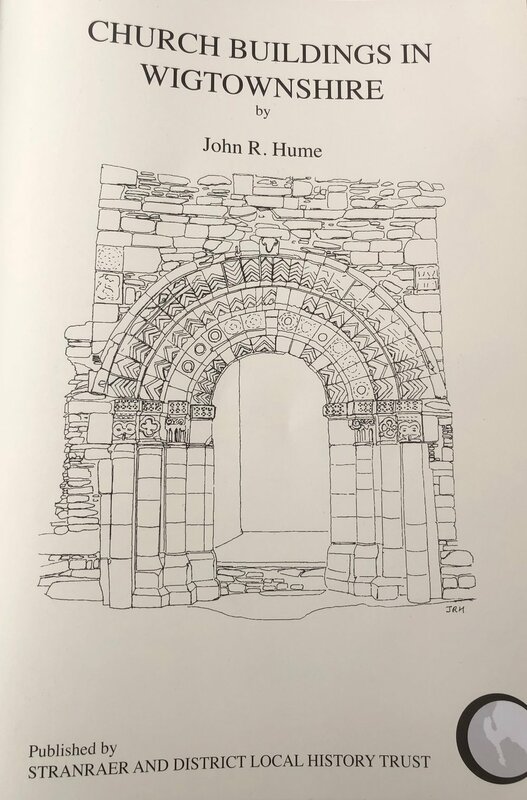 In a helpful introduction to the book, Hume notes the pivotal role of Wigtownshire in the Christianisation of Scotland, with physical evidence of early Christianity at Kirkmadrine and Whithorn (where there used to be an RP church). He also notes that in the 20th and 21st centuries rural depopulation has continued, and with it the number of active places of worship, with only a handful of new church buildings constructed since 1945. It could be added that even in Stranraer itself, church closures and mergers are a constant feature. And while socio-economic factors are doubtless part of it, the Bible alerts us to the fact that there may be another reason for the closure of churches - the Lord Jesus Christ coming and removing lampstands (churches) when they lose their first love (Revelation 2:5). Even in churches which remain open, the Bible has long since been stolen from unsuspecting churchgoers. Against this background we’re grateful that God has preserved us as a congregation to bring the good news about Jesus Christ to 21st century Stranraer. The book is available from the Stranraer and District Local History Trust for £4.50. Last week, a new ministers’ reading group started in Newton Stewart, organised by Reformation Scotland. For our first meeting, we worked through a book written by a local Galloway minister 350 years ago - Samuel Rutherford’s Conversations with a Dying Man. Even though the book was written a long time ago, it led to some very practical discussions about ministering to the sick and dying. For more resources from Reformation Scotland, including their video series Scotland’s Forgotten History, check out their website. 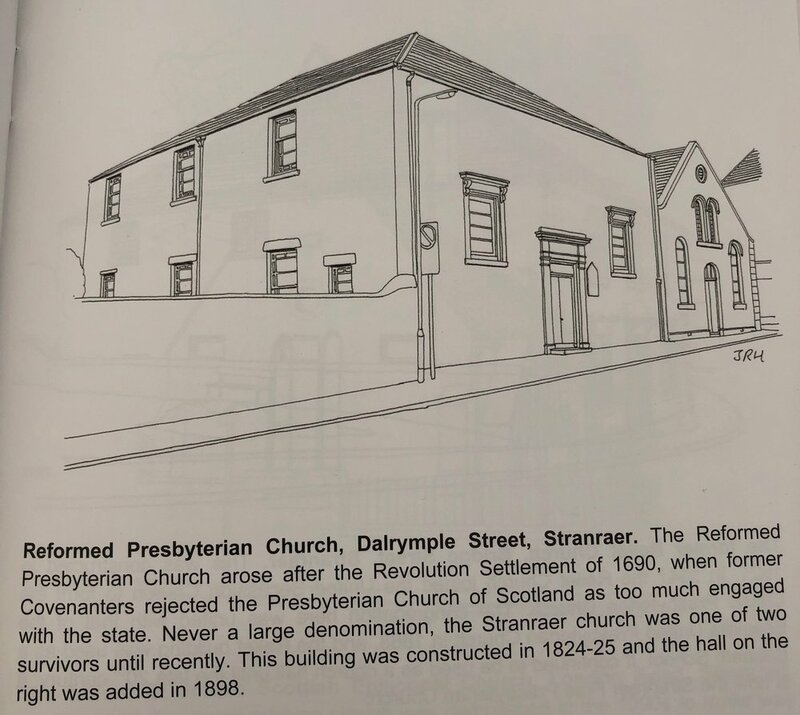 Although Stranraer is currently the only Reformed Presbyterian Church in Dumfries and Galloway, it wasn't always that way. In fact, there is a rich history of Reformed Presbyterianism in South-West Scotland. This is highlighted in the newly-released Ministers and Congregations of the Reformed Presbyterian Church of Scotland: 1688-2016 by James A. Dickson. The book contains sections on both the congregations and ministers of the RPCS. Congregations particularly close to Stranraer (which originally included Stoneykirk) included Colmonell, Girvan, New Luce, Newton Stewart and Whithorn. During the ministry of William Symington in Stranraer (1819-1839), we're told that a large proportion of the members were from outside the town itself - Inch, Leswalt, New Luce, Stoneykirk etc. Other Congregations in Dumfries and Galloway included Castle Douglas, Dumfries, Dunscore, Lockerbie (Hightae), Scaurbridge (Penpont), Quarrelwood and Sanquhar. Congregations in nearby Ayrshire included Ayr, Crookedholm, Darvel and New Cumnock. The book also mentions a number of revivals which took place in Dumfries in the 1800s, which Stranraer's minister at the time, William Symington, was 'very much involved in'. Let's pray and work to see God's blessing on this part of Scotland in the twenty-first century!